This is one of a pair of paintings I just completed for a commission client. The paintings will hang on either side or a mirror in a grouping of artwork. 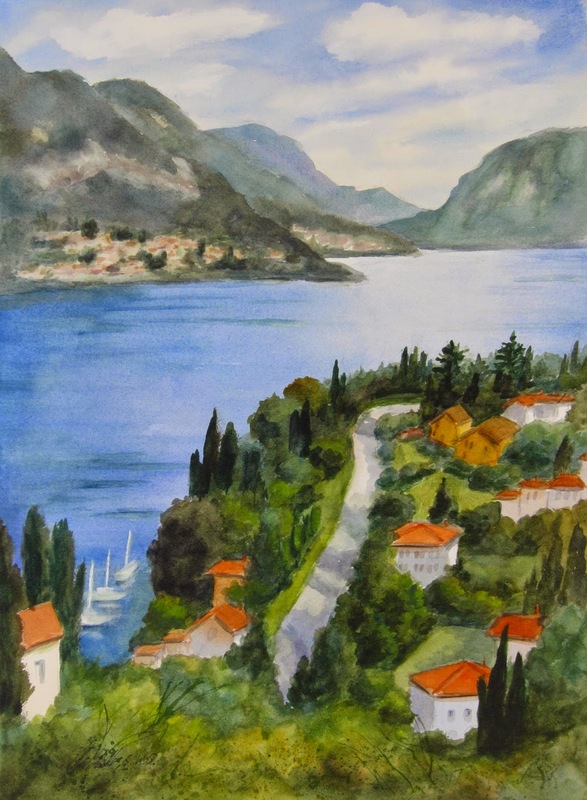 Initially the client was looking of two of my existing Italy paintings, but when we met, I suggested that we create new paintings of her own special memories from her travels to Italy and then we could make them the perfect size for what she needed. Typically when working from a client's own photo's there is a need for some artistic license ( like removing the big white building in the bottom of the photo, adding some color variety etc.. ) while still keeping the essence of the place they fondly recall. Been busy the past 2 weeks working on several commissions, so just wanted to do something small for fun today. Will be leaving for Tuscany on Weds. so keep posted. Assuming Wifi access, I hope to be sharing photo's from the workshop daily on facebook.com/PatFiorelloArtist. 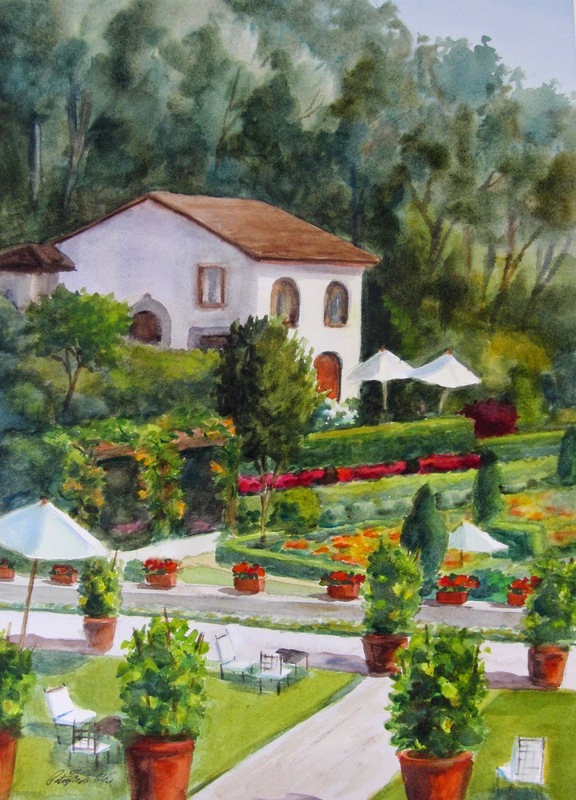 If you haven't already, please "like' the page for a virtual tour of inspiration from Italy. This is a second version of the same scene I did the other day done with a slightly different approach. Bottom line, I don't think there really was much of a difference in the final painting based on how I started it, but in the meantime, this experimentation had me become more familiar with the composition and challenges and better prepared for the oil painting version which I will share when completed. 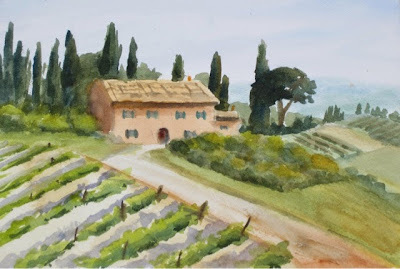 Heading to Italy a week from today to teach a painting workshop in Tuscany. 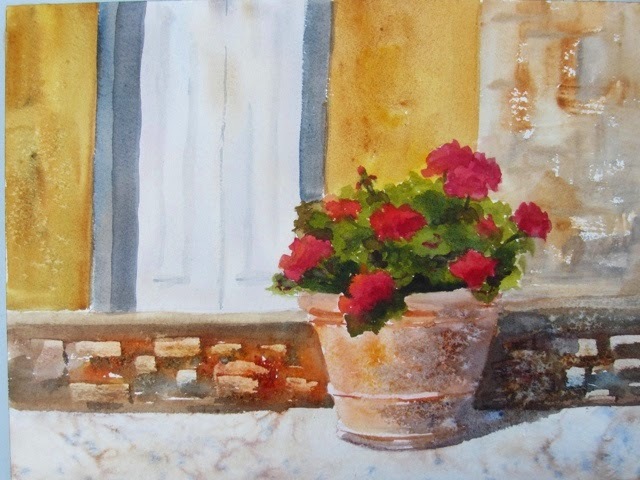 This painting was inspired by a scene I saw there last time I was there- a large pot of geraniums in the sun. Did a small study of it last week and decided to scale it up larger. 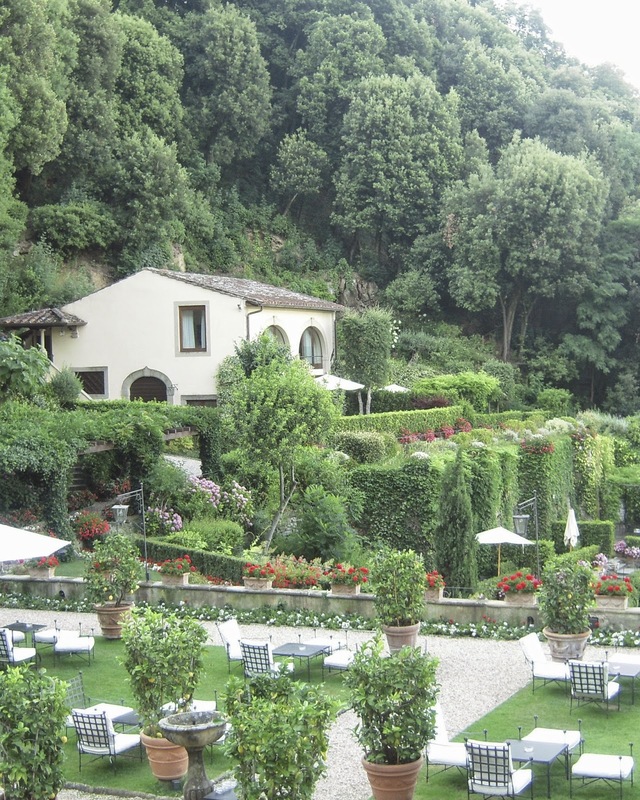 Looking forward to returning to sunny Italy for more fun times and inspiration! Not my usual subject matter (notice a rare painting with no green, flowers etc..) but a scene I liked from a trip last year to the Monterey/Carmel/Big Sur area of California. I shared it as part of my "365 Days of Beauty" on Facebook and people really responded to the image, so I thought I'd give it a try in an oil painting. 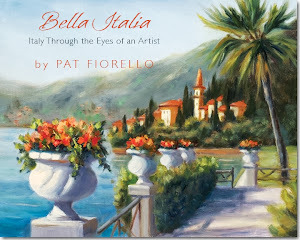 If you'd like to follow "365 Days of Beauty" where I post beautiful images- either my paintings or my photo's to offer viewers a daily dose of beauty, simply go to Facebook.com/PatFiorelloArtist and click "Like". Thanks! A quick study done the other day to share my process for painting with a student who was taking a private painting lesson. 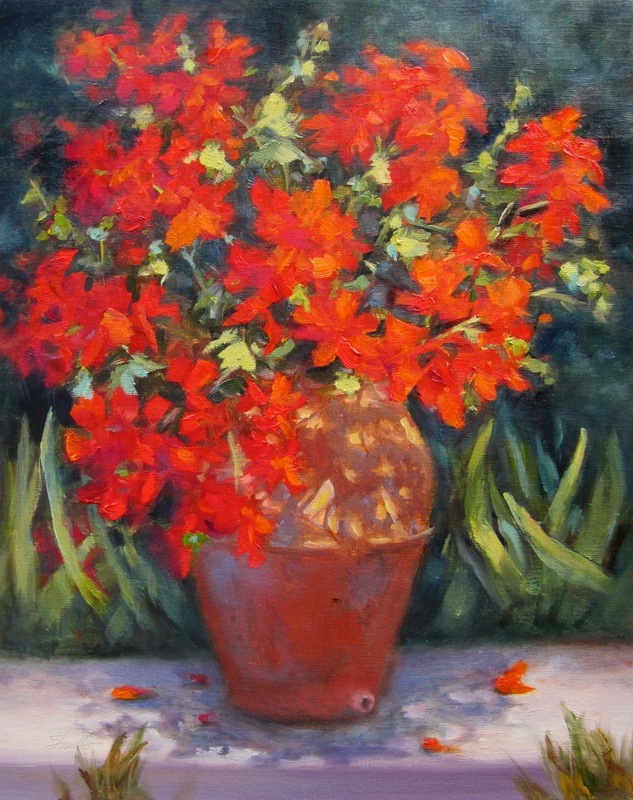 For oil painting, I use several approaches, but for the most part, especially for flowers, I start with a transparent underpainting to block n the overall composition and shapes then build form and details in a second stage bringing in opaque paints. I have several short videos on youtube which show the process of how a painting unfolds. You can see what's available by clicking here. Did a watercolor study in preparation for a larger oil painting. Started with more of a wet into wet underpainting - a bit differnt approach that I normally would have taken, but experimenting to compare. Will share version 2 done on dry paper soon. A scene from sunny Italy. Pot ( probably an old wine jug) filled with geraniums in the sun. Did a study here for a larger painting still to come. 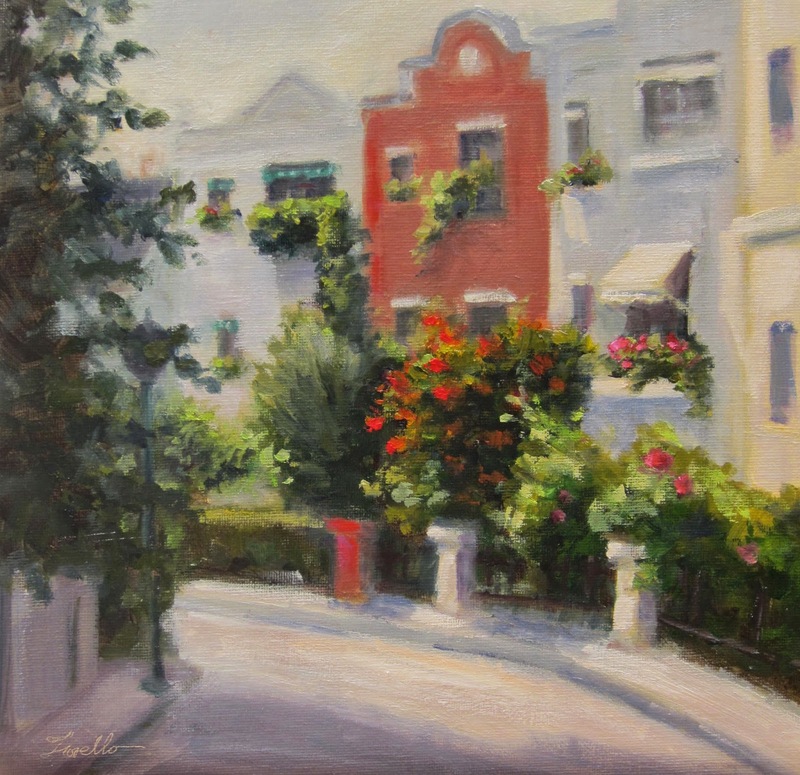 Recently was interviewed about the development of my book,"Bella Italia, Italy Through the Eyes of An Artist" by Michelle Hutchinson of Wordhelper. Click here for the full interview. Don't recall which town I saw this in, but loved the abundant foliage lining this street. 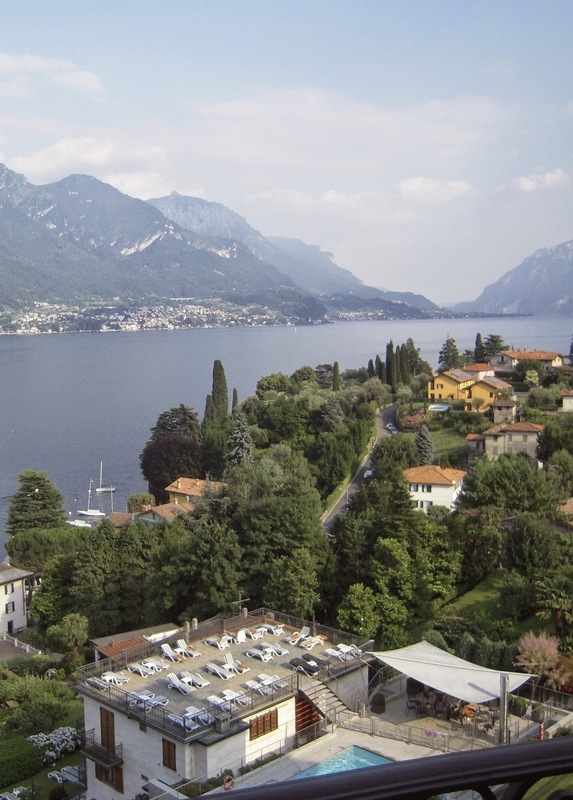 If you dream of going to ( or back to) Italy, you may enjoy this post on " The Dream of Italy" which I was recently a guest contributor to. Visited the local consignment shop "Now & Again" during their sale last week and stumbled upon this blue Wedgwood piece. Immediately thought it might be a great focal point for a painting and imagined with surrounded by white hydrangeas. So I added a new piece to my "prop" collection for still life. Set it up with some flowers and painted what I had imagined in the store. 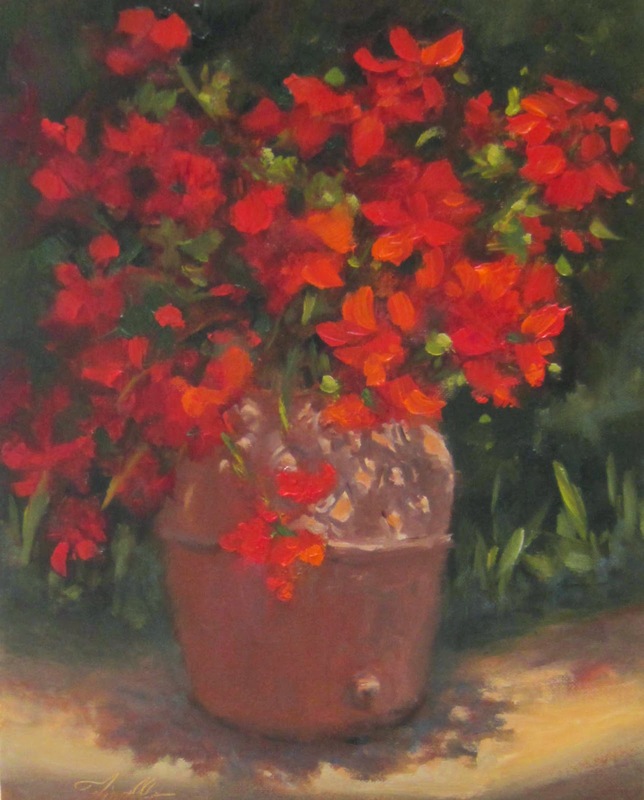 This painting still wet on the easel has already been sold to a student who saw it while here for a painting lesson. Glad it is going to a happy home. Simple study of a rose in sunlight. Many thanks for Patty Hankins of BeautifulFlowerPictures.com for featuring me and my bridal bouquet paintings on her blog today in a story called "A picture is worth a thousand words" . This was a very special commission and a fun one to work on. A lovely woman contacted me from Australia. She had found me on-line and wanted me to create a painting inspired by the bridal bouquet from her son and daughter-in-law's recent wedding. The painting was completed last month and has safely arrived in Australia . Mom is planning to invite the newlyweds over for dinner and then surprise them with their first oil painting for their new home. I wish I could be a fly on the wall when they open the box. It's a pleasure being able to create art that creates a memorable experience and is a gift expressing the love, thoughtfulness and caring between people. 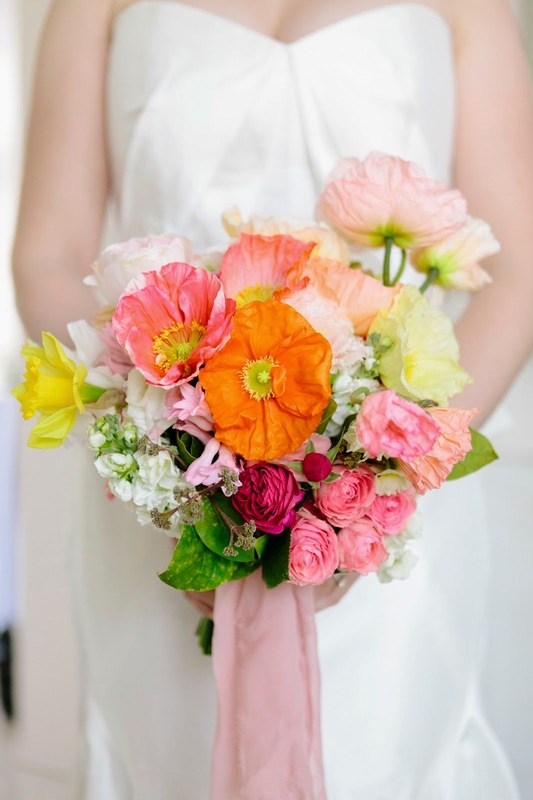 Below is a photo of the bouquet which inspired this painting. Hope the couple enjoy this meaningful piece of art in their home for many years to come! If you would like a bridal bouquet painting for yourself or as a special and unique gift, please contact me. More examples can be found on my website. Click here for more information.